Getting married is the biggest step we’ll ever make in life, yet setting an early theme with your engagement ring can say a lot about your new union. If you and your future spouse plan to shop for an engagement ring soon, you’ll find a lot of great places to shop in Melbourne. 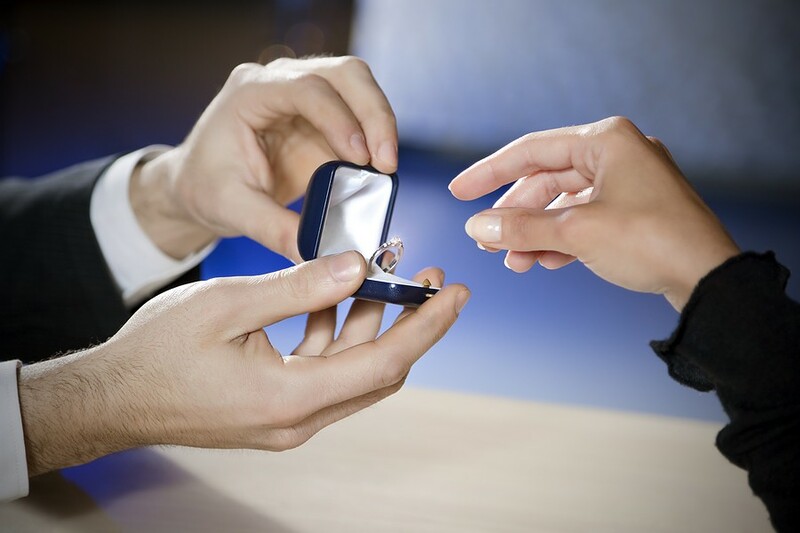 Here is some help with finding the perfect engagement rings in Melbourne. While you won’t have trouble finding places to shop for your ring, what kind of features and styles should you consider? No matter what style you choose, you might want to fit it to your upcoming wedding theme. When you hire wedding entertainment, they can play to the style of engagement ring you chose for a strong message. All jewelry experts say you need to look at the “Four C’s” when doing engagement ring shopping. The first is finding the perfect cut in the ring you choose. How well that diamond ring sparkles all comes down to proper cut proportions. You don’t want the cut too deep or too shallow either. Be sure to discuss this with the jeweler to assure light properly reflects off the diamond. You’ll want it to stand out on the dance floor while your wedding entertainers perform. The colour of your engagement ring can turn a lot of heads, especially with a quality grade. If you have the money, consider grades D through F for the rarest colour. Clarity all comes down to inclusions in the diamond to help make it look unique. While a personal choice, you might want to avoid diamonds with no inclusions since they’re very expensive. While weight isn’t as important as colour and clarity, how many carats the diamond is determines the price you’ll pay. You can sacrifice on the ring’s weight just to assure you have enough clarity for the ring to shine during the ceremony. You could pay anywhere from $5000 on the low end to $20,000 based on the ring’s quality. One thing to look out for is fakes since a lot of them are out there. Go through the Australian Diamond Grading Laboratory (ADGL), or the Diamond Certification Laboratory of Australia (DCLA) to assure your diamond is real. A professional jeweler can also scope out real from fake. Don’t think buying an old engagement ring is a bad purchasing decision. Going with an antique ring sets a great theme if you’re planning a similar style at your wedding. Your wedding entertainers can accommodate a set list that plays older songs to show off your antique frame of mind. As you and your new spouse take your dance on the dance floor, showing off your antique ring is going to create a compelling moment no one forgets. Many couples choose coloured diamonds on their engagement rings to represent something personal in family heritage or themes. White diamonds are always popular, despite being very expensive. Nowadays, you can find customised diamond colours like the rare red and pink diamond found here in Australia. These are perfect if you want matching on your wedding style. Your wedding performers can work with the type of engagement ring you’ve chosen and choose a song list representing the symbolism. When you use a quality booking agency, you’ll work closely with your wedding singers or band to set up the perfect entertainment matching what you wear. Diamonds are always spectacular, but consider some other gemstone choices to represent your heritage or birthstone. Morganite and sapphire are two popular choices. Gemstones always stand out at weddings. Work with your wedding entertainers to see how live music gives you a chance to show off this ring at just the right moments. Visit us at Lily Road to book the best wedding singers and bands in the industry.